SPONSORED STORY - A new online tool and app is making life easier for aged care providers as they engage with the new Aged Care Quality Standards. Are you ready for the new Aged Care Quality Standards? The new standards, which take effect on 1 July 2019, will mean more rigour for the regulation and compliance of the age services industry, as well as more audits. 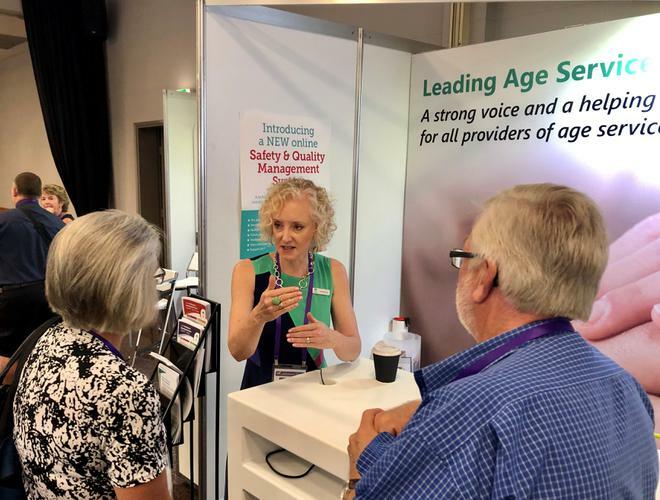 With the introduction of a new regulatory framework and new standards raising concerns for many, aged care peak body Leading Age Services Australia (LASA) has stepped in with an effective one-stop-shop solution: the Safety & Quality Management System. Developed with input from aged care providers, aged care workers, clinicians and other experts, the new online tool is designed to help providers adhere to the new aged care standards, demonstrate their compliance and deliver better care and services. For residential and home care providers, the system offers a core suite of more than 60 policy templates and process guides developed to help with compliance to all eight aged care standards. Users can edit and align the policies and processes to their operations, and automate flowcharts. There is also the capability to upload existing or newly developed policies and processes. A one-stop-shop access point for frontline staff and managers, the complete system will also support users to identify, collect and store the evidence required to demonstrate compliance against the standards, which will provide enormous reassurance during audits. Users will have the ability to save and share documents, survey results, links, videos, photos and information in any format, creating a readily available guide for staff to find what they need, when they need it. A cloud-based solution, the system can be accessed remotely from any location, desktop or mobile device. With data on the cloud and networked backups, there is no risk of data loss or downtime. All changes will be stored in the system, with version control showing who made changes, what changes were made, and when. Designed by user experience experts, the system is easy to use and intuitive, and requires minimal training. The complete system will offer visual-based browsing and search-based usability, as well as voice-enabled system search capabilities. There are no hidden costs, no installation costs and 24/7 support. Once LASA receives a registration, users will receive an email with a link and sign in details. LASA consultants are also available to help those providers seeking transition and implementation assistance to the new policy framework. Stage one is now in market, with updates to follow. In addition to expanded functionality and content, LASA will keep the system up-to-date in line with new policy directions and recommendations from the Australian Government. Users will receive updates as they come online. To find out more about LASA’s Safety & Quality Management System or purchase this product, please email quality@lasa.asn.au or visit the LASA website. The Safety & Quality Management System is available to all providers of aged care, with discounts available for LASA Members.